Proton exchange membrane (PEM) electrolysis is the electrolysis of water in a cell equipped with a solid polymer electrolyte (SPE) that is responsible for the conduction of protons, separation of product gases, and electrical insulation of the electrodes.... One of the main advantages to this type of fuel cell, besides the nearly 85% cogeneration efficiency, is that it can use impure hydrogen as fuel. PAFCs can tolerate a CO concentration of about 1.5 percent, which broadens the choice of fuels they can use. If gasoline is used, the sulfur must be removed. Proton exchange membrane (PEM) electrolysis is the electrolysis of water in a cell equipped with a solid polymer electrolyte (SPE) that is responsible for the conduction of protons, separation of product gases, and electrical insulation of the electrodes. 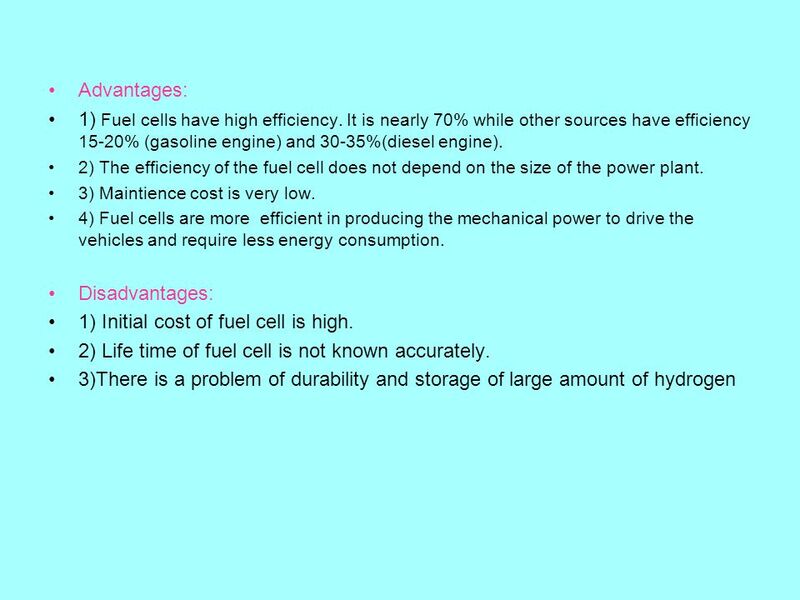 One of the main advantages to this type of fuel cell, besides the nearly 85% cogeneration efficiency, is that it can use impure hydrogen as fuel. PAFCs can tolerate a CO concentration of about 1.5 percent, which broadens the choice of fuels they can use. If gasoline is used, the sulfur must be removed.